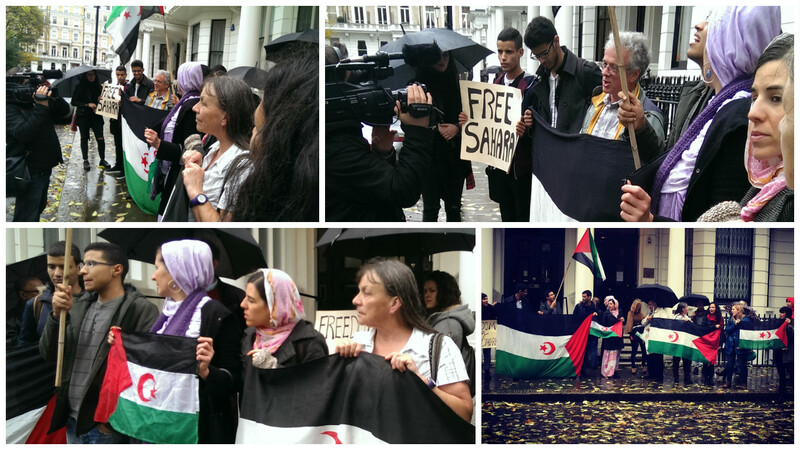 UK campaigners braved the rain on Saturday 7th November to demonstrate outside the Moroccan Embassy in London. In a demonstration of solidarity, people came together to show that after 40 years of occupation the people of Western Sahara are not forgotten. Protesters gathered outside the embassy chanting “40 years not forgotten, 40 years out Morocco!” This will be followed by letters delivered to the Embassies of all the members of the UN Security Council. 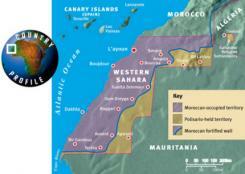 The demonstration was one of a host of initiatives around the 40th anniversary of the Moroccan occupation in which campaigners are coming together to renew their commitment to the Saharawi cause. Earlier this week, the Western Sahara Campaign coordinated this letter of solidarity co-signed by many organisations and published in the Guardian. On Friday our friends in the US also gathered outside the Moroccan Embassy in Washington to demand Morocco stop obstructing the referendum or get out of Western Sahara. They also have a petition which you can sign here.